"I love it when my team builds these small ranges featuring nothing but the most loved of our designs. That’s the case with these poplin styles. 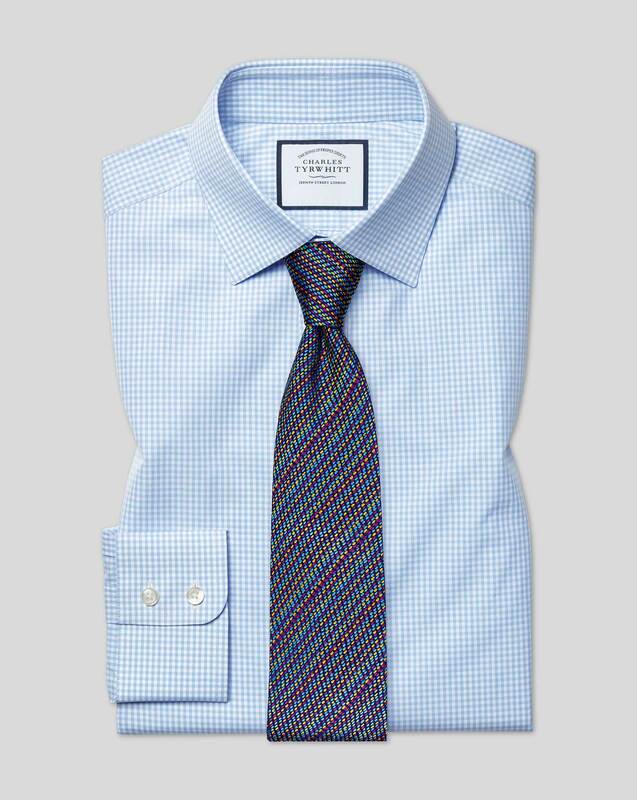 Scrumptiously collectable, they come in an array of desirable gingham, checks, and stripes. Wouldn’t it be marvellous to wake up with a ‘What lovely poplin pattern will I don today?’ conundrum?" "Shirts made from 100% cotton poplin in a series of timeless designs." A replacement of a well worn favourite. Response from Charles Tyrwhitt: It's awfully upsetting to see you were not pleased with your recent shirt purchase, as we put great care into producing high-quality beautiful shirts. In respect of the fit, the Slim Fit is best thought of as a 'regular'. We also offer the Extra (and Super) Slim Fit for those customers who require something a little more fitted. We'll be sure to take your feedback on board here and complete your return as swiftly as possible.